10/10 Incredibly informative AND useful! Dan John is one those people that I continually use as a resource. I have learned a tremendous amount from his publications and refer others to his works whenever I have the opportunity. His latest book "The Hardstyle Kettlebell Challenge" is one of his most 'information dense' works yet. Every page is filled with useful information with a healthy dose of Dan John humor as well. I consider myself fairly advanced when it comes to kettlebell technique and teaching kettlebell technique and I was still able to glean a tremendous amount of actionable information from this resource. You won't find better value for your money than this! 9.9/10 - A must buy, a must read, a must apply and a must re-read and again and again !!! Everything you need to know is in this book ! The only thing I would add, is more Horizontal Rows !!! This book is absolutely in my Top 5 S&C Books of all-time with : Pavel's Enter the Kettlebell, Pat Flynn's Paleo Workout, Paul Wade's Convict Conditioning and Max Shank's Ultimate Athleticism ! 10/10 Dan John brings Kettlebells to the masses! If you are familiar with any of the writings of Dan John, you will know that this latest masterpiece is very well written and incredibly easy to follow. It has just the right amount of detail, and enough photographs to ensure that you are doing a move correctly, and if not, how to go about fixing your form. This is one of those "go-to books" that are hard to put down, I can't recommend it enough. All I can say is buy it, you won't be disappointed. 10/10 Typical Dan John AWESOME!!! I have had the good fortune to be able to pick the brain of Dan John for the past few years and never have walked away from a conversation(or one of his books for that matter)without learning something new. I was prepairing to take the HKC when this book came out so purchasing it was a no brainer. In typical Dan John form he outlines the most important points of Kettlebell training. When I say typical Dan I mean clearly, simply and in an entertaining and engaging manner that keeps your attention even if you think you already knew what he is saying.Dan is the kind of writer (teacher) we all wish we had in high school. The guy who teaches you a great deal without you realizing it until you start applying it Another winner for the coach of all coaches. GREAT JOB (as usual) DAN!!!. 10/10 Hardstyle Kettlebell Challenge, well worth it. Had to get the e-book. I may be about half way thru and in my opinion it is excellent. Rack Walk, and Suitcase Walk. Tried it yesterday. Loved it. It is another way to do carries. Love the Buns and Guns. Vertical Bird Dog, never thought about it. There are more. I find some of the information changes my mind set about training sessions. Always interested in hearing how someone with the experience of Dan John looks at training. Can't wait to digest the rest of the book. The information in the book can only help me help others train. I've been a fan of Dan John's writing for over a decade. This latest book is no less impressive and insightful as the other books by Dan. I have changed the way I program my workouts as a result of reading this book and it has been impactful. Basically, everything is a periphery to swings for me. The focus on swings has even helped strengthen my posterior chain in ways that I did not expect such as helping me overcome a troubling Achilles issue. I've also been able to hold a back bend for longer than I ever could before. This will be an excellent addition to your tool box and I wouldn't hesitate to purchase this immediately. It's all in the timing. If this book had come out 5 or 10 years ago I could have saved money, time and energy bypassing mounds of information which left me no where. I have long believed in a whole-body method of training and this book has provided the method and details to support my training. 9/10 A Must Read for Everyone !!! One of the best coach out there writing about THE best bang for your buck implement there is for all-around strength & conditioning : The Kettlebell ! I liked how Dan John approaches training and how he helps the reader apply it. I have been doing RKC style training since 2005 but Dan John's take on how to generate tension, goblet squats, and hip hinges was really easy to understand quickly. I especially like how the Turkish get up was explained , with great queues and incremental training to lead up to the full get up. 10/10 A go-to book for kettlebell fundamentals. I have worked with Dan John for several years, and am currently Hardstyle Kettlebell Certfied through the HKC. Learning and understanding the basics of kettlebell training has added to my own personal workouts as well as the programming for my clients. Dan has a way of explaining these movements in a way that makes it easy to understand and implement. If you are interested in kettlebell training, this book is a must. As usual, as expected, Dan John never disappoints. He presents useful, real world information in an entertaining and engaging manner. 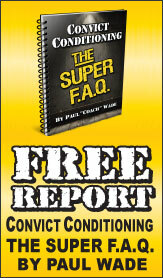 He gives you the" why" and "what's next" to all his training and progressions. I've gone thru the HKC once before and I found this book to be more informative than the course I took. Very, very detailed, including all the HKC techniques. Plus some really good programming to get you started. Doesn't hurt that I personally know the models used in the book (Shout out to Kettlebell PRT). Dan John always puts out quality reads!